Green Waste: Your Frequently Asked Questions, Answered! Home / Rubbish Removal Blog / Green Waste: Your Frequently Asked Questions, Answered! I’m sure you’ve heard the term “green waste”. Almost every household creates this form of waste, and if you have a garden, you probably produce it too. Green waste is somewhat different from general household waste and it needs to be disposed of correctly. Many people simply don’t realise this and continue to throw their green waste in amongst their general waste. However, this should be avoided to reduce the environmental concerns associated with the improper disposal of green waste. As the owner of 4 Waste Removals, I often am approached by customers with questions about green waste. As such, I thought that it would be a good idea to create an FAQ covering the most common green waste questions that I am asked. Continue reading this article as I answer your frequently asked questions on green waste. What exactly is green waste? Green waste refers to 100% recyclable organic waste that can be found in a garden. If you’re unsure of what this means, think of it this way – if it grows in your garden, it can be classified as green waste. Why should I use green skip bins or garden bags? Garden bags and green skip bins offer an environmentally friendly way of disposing green waste. Green waste is completely recyclable, so it should not be sent to landfills. Rather, through proper recycling methods, your green waste can be turned into compost – a useful agricultural product. 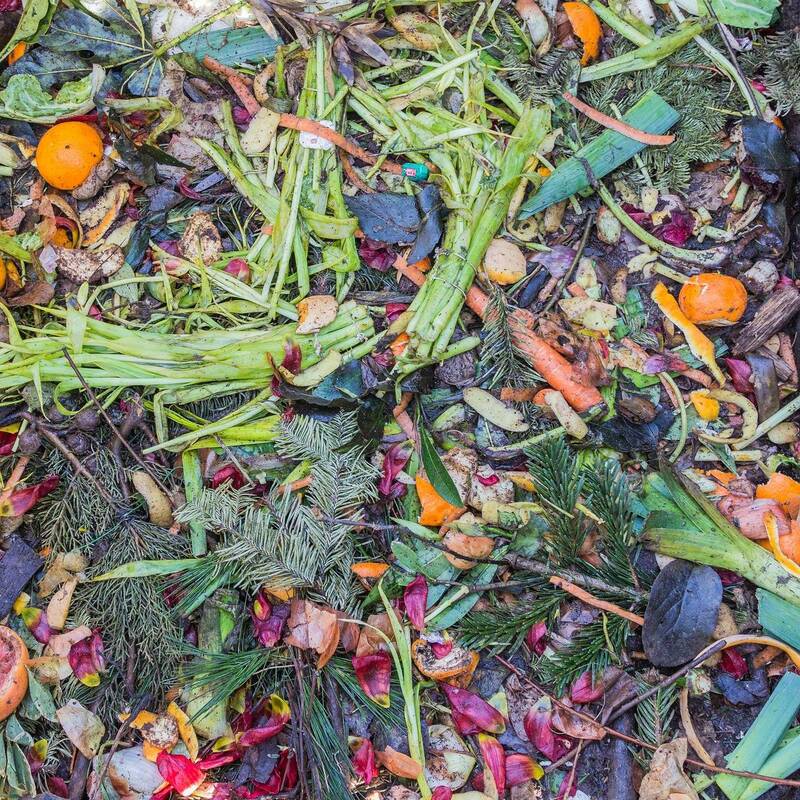 Compost improves the soil and supports production of food in local farms. What happens if I simply dump green waste in a landfill? If green waste ends up in landfills, methane and other greenhouse gases are formed. As such, we do not dump green waste into landfills. We have a strict policy of separating green waste from other types of waste. This is an environmentally friendly procedure and reduces landfill space requirements. By using garden bags or green skip bins to dispose of your green waste, you will reduce the cost of disposal for the entire community. Where do you take the green waste to? 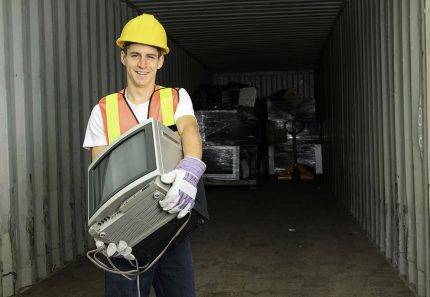 At 4 Waste Removals, we have access to several recycling depots in and around Brisbane. After you fill our bags and skips with green waste, we then collect it and transport it to the nearest recycling depot. Your green waste will be turned into high-grade compost, which is then used by the agriculture industry. How often will my green waste be collected? We are extremely flexible with our collection. When you choose 4 Waste garden bags, you get to decide the collection frequency. You can choose to dispose your green waste weekly, or once every 2, 4 or 8 weeks. Alternatively, if you have a lot of green waste that won’t fit into our garden bags, you can hire green skip bins instead. This is a one-off service. Once you hire and fill our green skip bins with your waste, we will collect and dispose it for you. What can I put into garden bags and green skip bins? At 4 Waste Removals, we accept only 100% green waste in our garden bags and green skip bins. This includes fruit and vegetable scraps, dead leaves and plants, twigs and small branches, lawn clippings and other garden waste. 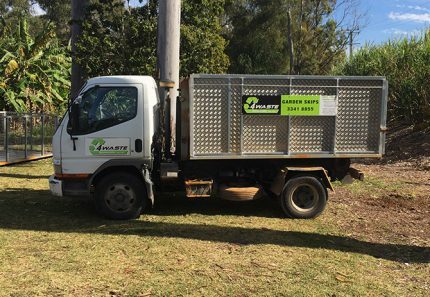 For large branches, stumps and tree limbs that won’t fit into our garden bags, you should hire a green skip bin. What can’t I put into garden bags and green skip bins? We do not accept mixed waste or any waste other than green waste in our green skip bins. Food waste, dead animals, bones, plastics, metal, soil, chemicals or other such materials will not be accepted in green skip bins. What are the costs of hiring garden bags and green skip bins? 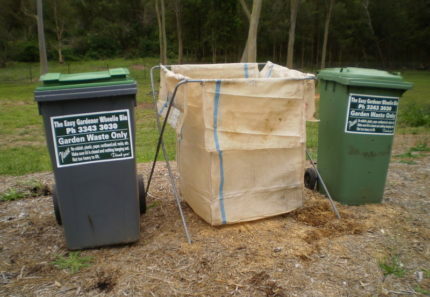 4 Waste garden bags and green skip bins are incredibly affordable. Our garden bag service will cost you only $20 per collection. Our green skip bins feature multiple fill levels, ranging from 2m³ up to 8m³. We charge you based on the amount of waste you fill into the bin. 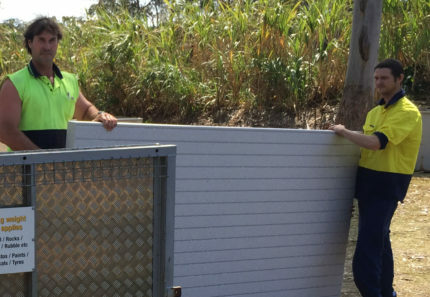 Expect to pay onwards of $140 for our green skip hire. View our skip bin sizes and prices to find out more about our filling costs. Green waste is a specific type of household waste, which includes 100% recyclable organic waste. This type of waste is produced in gardens. Green waste should not be dumped in landfills as it produces methane and other greenhouse gases. The proper way of disposing green waste is by making use of garden bags or green skip bins. Do note that only 100% recyclable green waste is allowed in garden bags and green skip bins. For any other type of waste, you will need to hire junk skips or look for alternative ways of disposal. To dispose your green waste in an environmentally friendly manner, consider 4 Waste garden bags and green skip bins. We offer our services all over Brisbane and our garden bags and skip bins are incredibly affordable. Contact us to book a garden bag or a green skip bin. You can even order a skip bin or a garden bag online from our website. By using our services, you can ensure that your green waste is always disposed properly.